Setanta are in trouble. The Times had them yesterday morning 'on the verge of collapse'. There's a very simple reason why. Setanta's business model is founded on sports attracting lots of viewers who want to watch those sports at £10.99 a month. Adding the Sky Sports Pack to your Sky subscription is £18.00 a month and Sky don't just sell you a Sports pack. They sell you movies and entertainment shows and telephone and broadband too. Spot what Setanta did wrong? They're cheaper than Sky for sport and not cross selling you anything, but are playing in a market where Sky sets the starting price of football rights. Even with EU regulation to stop Sky bidding for everything, it's a horribly flawed business model. 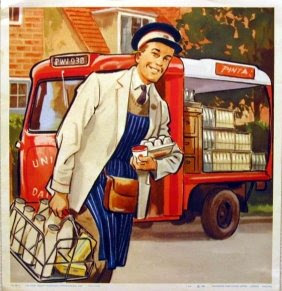 Remember how we used to have milkmen before supermarkets took over and priced them out? Premiership football is a loss leader for Sky - always has been - and anybody who tries to compete with Sky on the basis of selling football for its own sake, doesnt stand a chance.